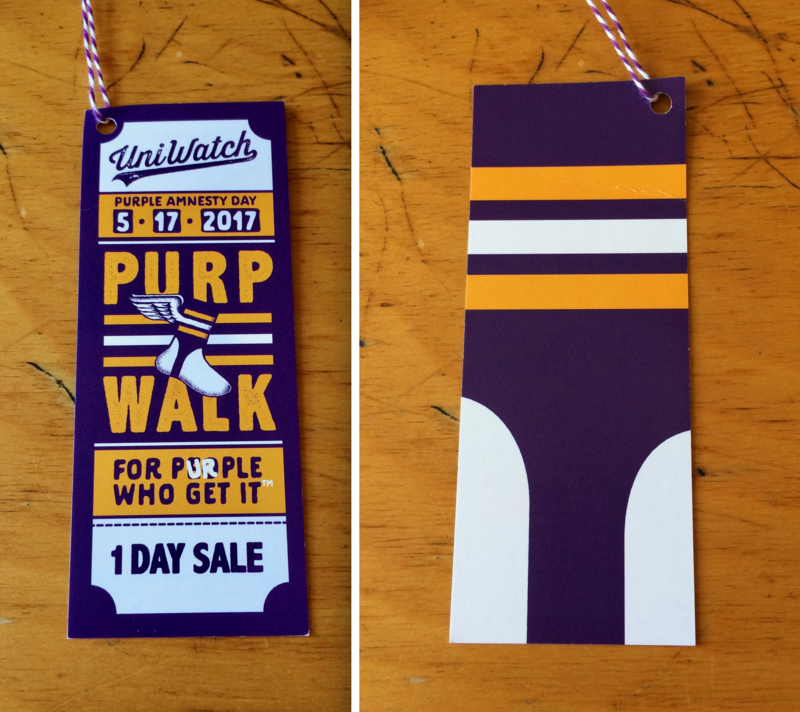 Wednesday, May 17 is the 11th anniversary of the site’s first entry, which means it’s also Purple Amnesty Day — the one day of the year that we accept orders for membership card designs that include purple. So if you’re a Ravens, Vikings, Rockies, LSU, or Northwestern fan, get those membership orders ready! Once the 24-hour window closes, it will remain shut for another year. • The shirt, as you can see, is a raglan-sleeved baseball shirt. The torso color is a light heather grey, not white. • The shirt itself is super-duper-soft. Seriously, it’s about the softest cotton shirt I’ve ever felt. I’d love to wear it 24/7 except for, well, you know. 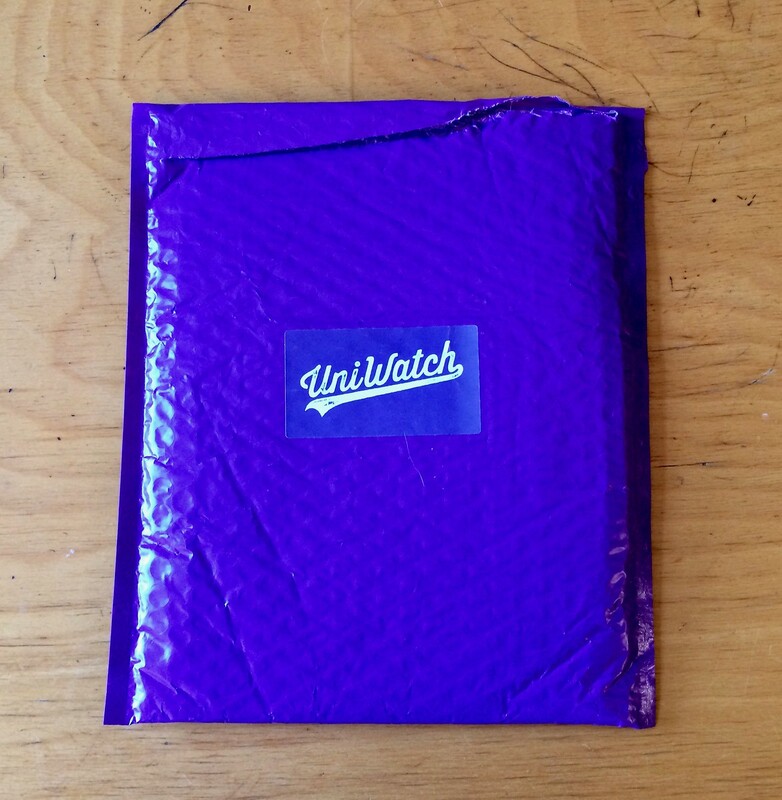 Unfortunately, we cannot send more than one sticker per shirt, nor can we sell the stickers separately. The only way to get the sticker is to buy the shirt. • Because of all the extra bells and whistles, the price point is a bit higher than on most of our other shirts: $29.99. I realize that probably seems like a lot, but it actually leaves less of a profit than we make on most of our other merchandise. Basically, we really wanted to create a fun project (ideally one that’s fun for you, not just for us), and extra fun sometimes costs a bit more. 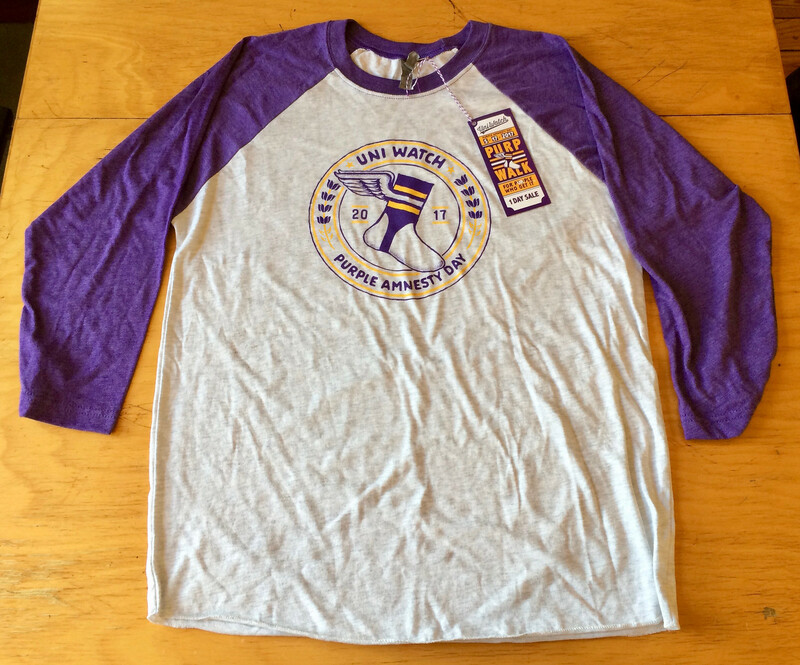 If you already have a purple card and think you might want to order this shirt, send me a note now. If you can include a photo of your purple card so I don’t have to look up your original membership order from years ago, even better. I’ll send you the discount code on Wednesday. • Important: This shirt is limited to 48 orders. Once we go through that many sales, that’s it. 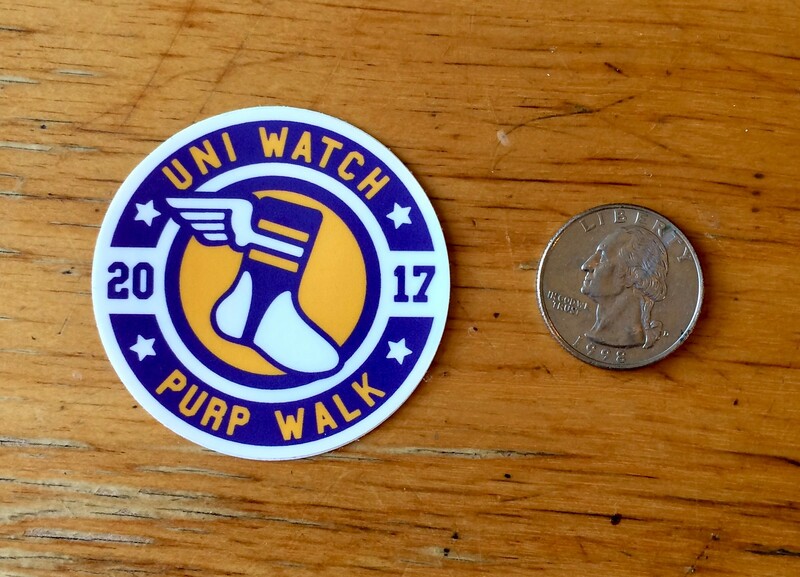 As it happens, that’s about how many shirts we sold for the 2015 and ’16 Purp Walks, so we probably won’t go over that number this time around. But if you really want the shirt, order early on Wednesday! • For those who have asked or are wondering: Yes, we will accept overseas orders. Shipping will be more expensive, of course. • As usual, the shirt will only be available for 24 hours — from midnight to midnight, Eastern time, on Wednesday. No exceptions! I think that’s it. Oh, and although I said “we” a lot, Bryan deserves most of the credit for this one. It was his concept, his design, his idea to add all the extra elements, and he nailed all of them. I needed to do less art direction on this project than I’ve done for just about any other shirt. Great job, Bry! 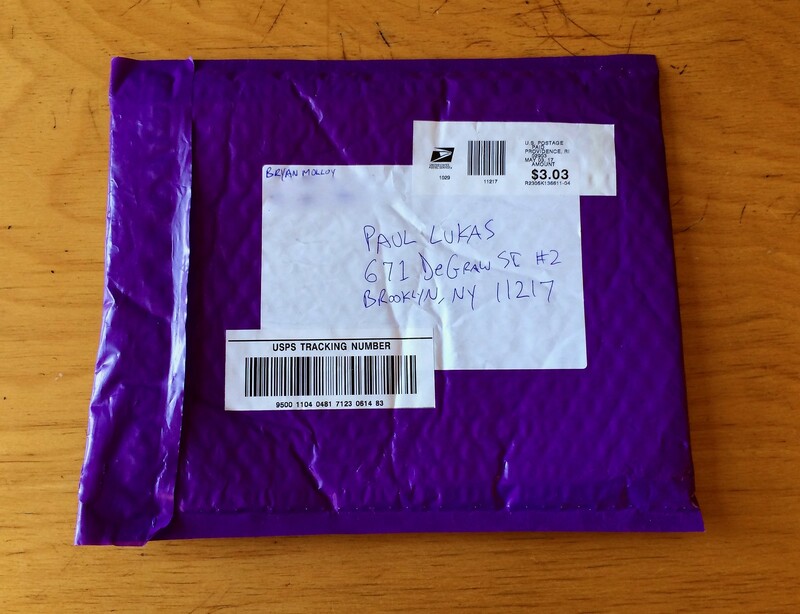 Oh, and just to complicate things, I have to run to Manhattan on Wednesday afternoon and get my head scanned for a custom-fitted football helmet (more on that later), but I’ll do my best to stay on top of purple membership orders. 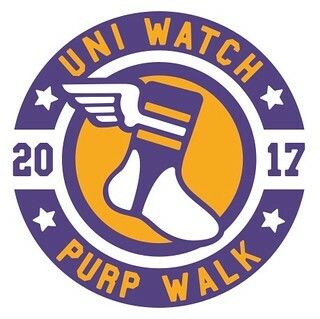 Should be the best Purp Walk yet!